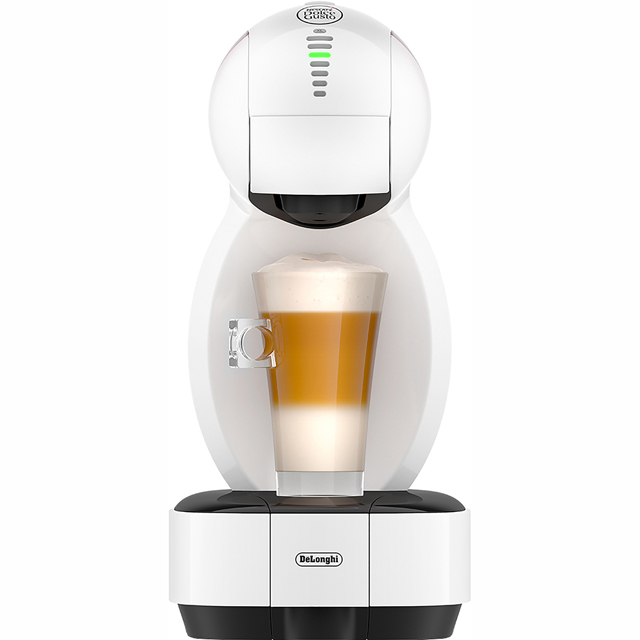 Delivering convenience, style and full-flavoured coffee, this De'Longhi pod machine is a great addition to any kitchen. The adjustable design accommodates a range of cup sizes. 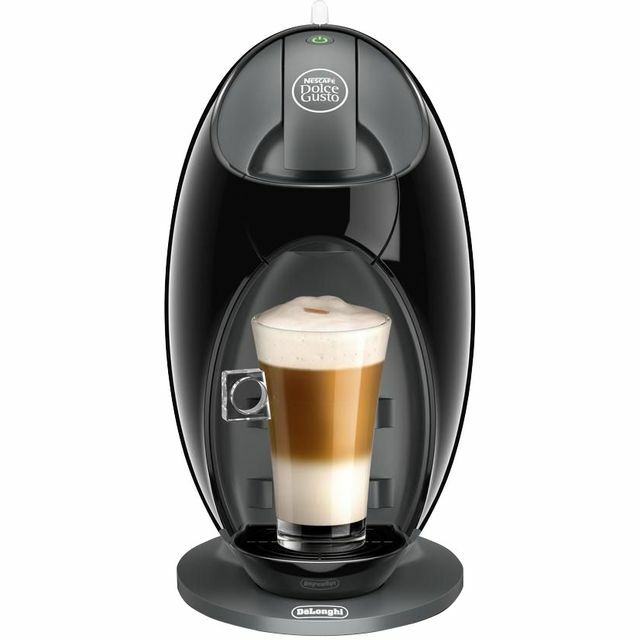 It’s compatible with Nescafè Dolce Gusto capsules, giving you a wide variety of drinks to choose from. The Thermoblock heating system instantly delivers water at the ideal brewing temperature. This works alongside the 15 bar pressure to distribute water through each pod for maximum flavour extraction. You can even cool down on a hot day with a Cappuccino ice, as this model makes cold drinks too. This De’Longhi machine makes great coffee easy and accessible. It’s compatible with Nescafé Dolce Gusto capsules, giving you a wide choice of delicious beverages. Pods are perfect for great coffee in a hurry – so you can pop one in and enjoy that first drink of the day in no time. The fantastic range from Nescafé includes everything from caramel lattes to refreshing exotic teas – so there’s something for everyone. You won’t have to wait long for the water to heat up with this De’Longhi coffee machine. 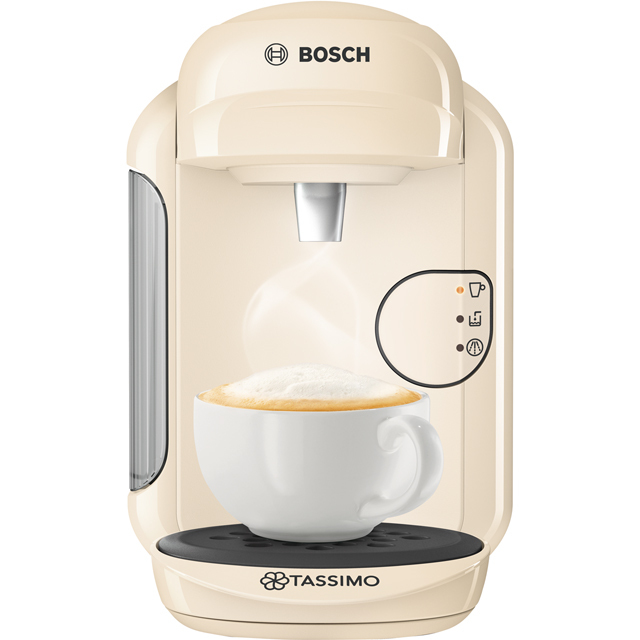 It features a clever Thermoblock heating system that delivers water at the ideal brew temperature for perfect coffee every time. So it’s great for early starts when you need your caffeine hit without delay. For full-bodied flavour, your machine needs the optimal bar pressure to extract the essence from your coffee. This De’Longhi model has a 15 bar pressure - which means that the water passes through the coffee filter at the ideal rate to deliver a drink that’s aromatic, smooth and without a hint of bitterness. Lovely coffee maschine, works brilliant and looks amazing. I would recommend this product to the owners a small and big kitchen. Brilliant item highly recommend. Bought as a gift and they loved it! This makes a great cup of coffee and is really easy to use. Bought this for work so I now get a ‘proper’ tasting cup of coffee there too. Looking forward to trying different drinks options soon. Not happy with this machine, coffee just isn’t hot enough. 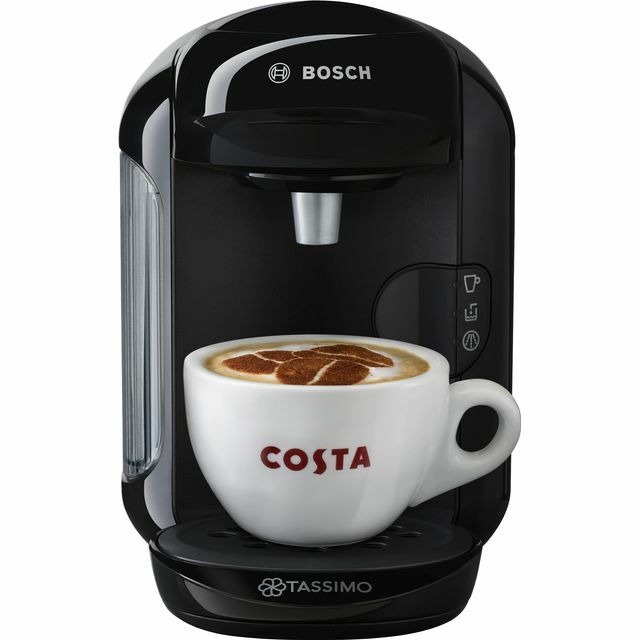 I bought this to replace my old dolce gusto coffee machine. Great price! This is a lot smaller which is great for worktop space but to get a glass latte cup in (standard size), you must remove the drip tray and the base of the glass doesn’t sit in the machine properly . Doesn’t affect use but a little annoying. It’s also quite noisy. quick and simple to use and makes great tasting coffee. * EDG250.B_BK was at the higher price between 28/02/2019 and 22/03/2019.